The jumper wires do not come with any of the sets. I just ordered them seperately, but they are really handy to use with the IC socket. The IC socket comes with the biggest set (the 750), but I don’t believe it comes with any of the smaller sets. Of course it can be purchased seperately. I added a switch, but that comes with one of the smaller sets. 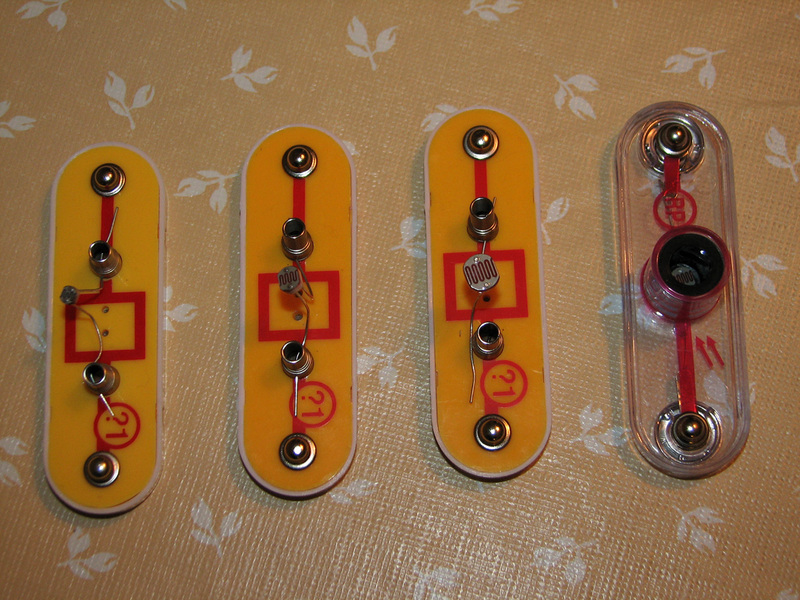 I added the 1M Ohm resistor with a Snap Circuits 2-Spring Socket (see first picture below). I swapped out the stock photoresistor with a RadioShack one in a 2-Spring Socket (see second picture below). Thanks, Edward! 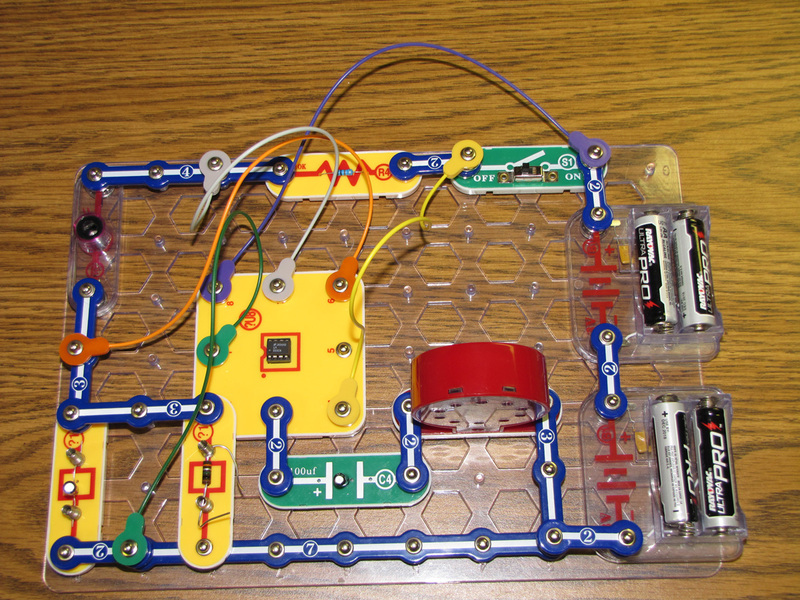 This mod is especially useful for explaining circuit design to young kids. The jumper cables allow you to visually trace the 555 Timer’s pins to the rest of the circuit, and various photoresistors can be swapped out on the fly to produce different sound results.